How to learn from every range trip…on the cheap. This entry was posted in pistol, rifle, self-defense, training and tagged AllOutdoor, range. Bookmark the permalink. 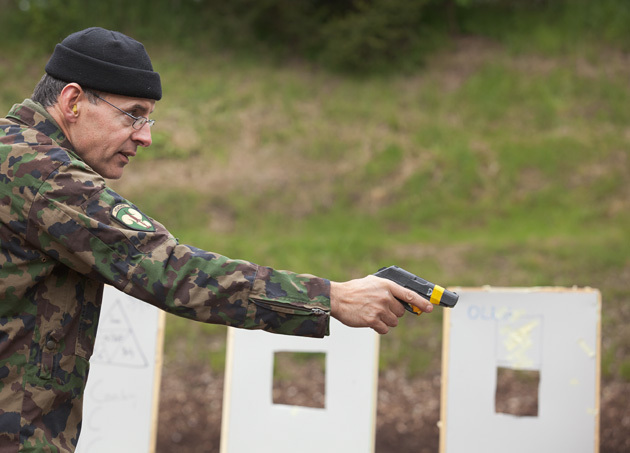 Some excellent tips, especially the one about shooting hi-viz targets exclusively. We use used brown wrapping paper from office packaging but have never gone through the trouble of marking it up to camoflauge. Taping it into a cylinder and suspending it on string allows it to drift behind a tree then disappear. Gives you limited time to take your shot. Hmm.. the guy in the picture looks familiar somehow. What is the on that patch on his sleeve..